Which Linux Desktop Environment Should You Use? The question that I get asked the most is “Which Linux Distro Should I Use?”. I released an article similar last year called “I need a Linux distro that is more customisable than Ubuntu“. In that article I listed some potential candidates based on the criteria provided. I am working on a series of articles that lets you choose your distribution based on your needs and your computer’s capabilities. One part of your decision making process is choosing the desktop environment that is right for you. You can use any of the core distributions such as Debian, Fedora, openSUSE and Arch and pretty much every desktop environment is available. Other Linux distributions take the default desktop environment and customise the settings to provide a richer experience. Examples include Bodhi, Xubuntu and Linux Mint. This is a guide to the various desktop environments available and the distributions that utilise them. The following desktop environments are a break away from the traditional panel/menu driven desktops that many people are used to. These desktop environments may not run so well on older hardware and will not be a good choice if you have insufficient RAM, CPU or an older/incompatible graphics card. Unity is the flagship desktop environment for the Ubuntu Linux distribution. Unity takes a little bit of time to get used to and isn’t overly customisable but is incredibly intuitive when it comes to navigating the desktop and finding applications. 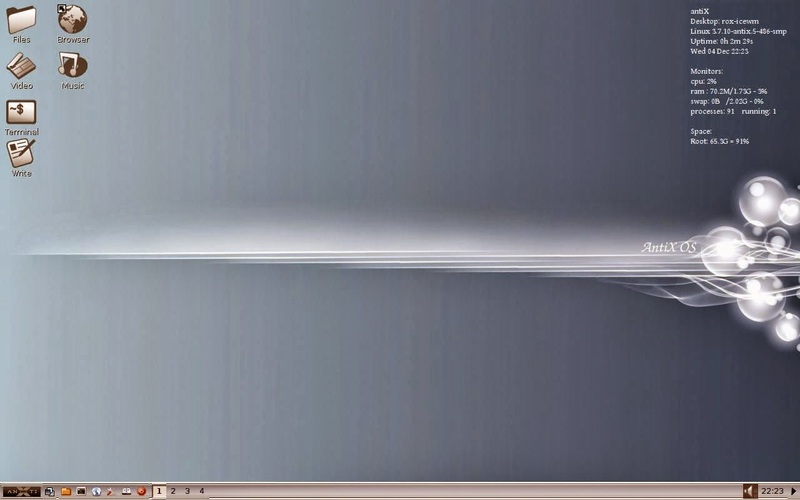 The Unity desktop has a quick launch bar at the side and hosts your favourite applications. When you press the super (Windows) key on your keyboard a dashboard appears with access to various views including applications, music, videos, photos and social media. It is easy to embed popular online applications such as Twitter, GMail and Reddit. If your machine is underpowered then it might not be able to run Unity or may be sluggish. 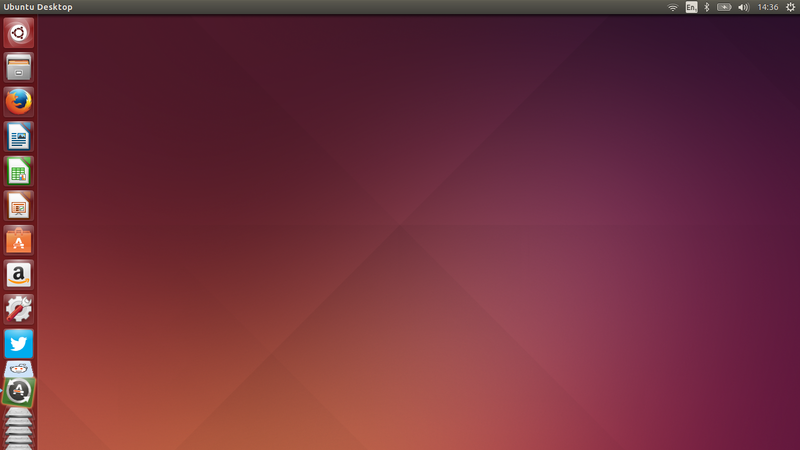 It is worth giving Ubuntu a go in a live environment or in a virtual environment to see how well it performs for you. Unity isn’t to everybody’s taste and so try before you buy (even though it is free) is definitely the best course of action, especially if you prefer the more traditional desktop. 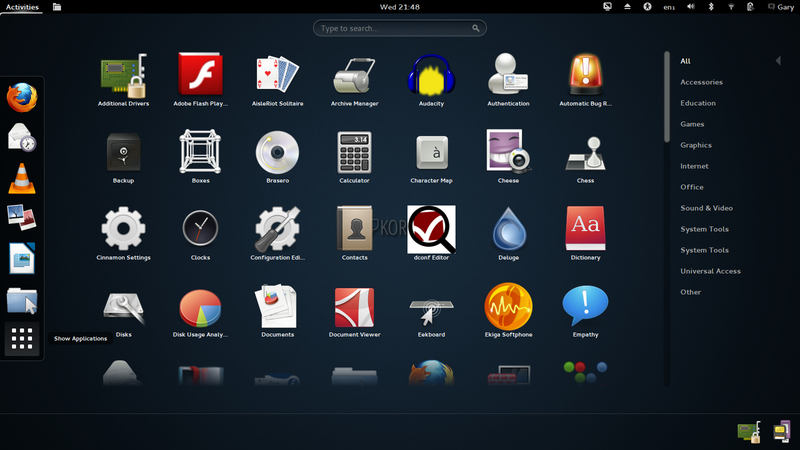 The Gnome desktop is very similar to the Unity desktop in that it uses a launcher style approach with a dashboard showing all the applications in an iconised fashion. Again I would say it is worth trying out Gnome in a virtual machine to see if it is to your taste and in a live environment to make sure it works properly with your hardware. It is worth noting that whilst some distributions are listed as using Gnome, it may not be the default desktop and may only be available from the repositories post installation. What do I mean by “Traditional Heavyweight Desktop Environment”. For me a traditional desktop environment includes a panel at the bottom, icons on the desktop and a traditional menu system whereby you scroll through categories to get to applications. Heavy versus light? Well a heavyweight desktop environment requires more resources to run. 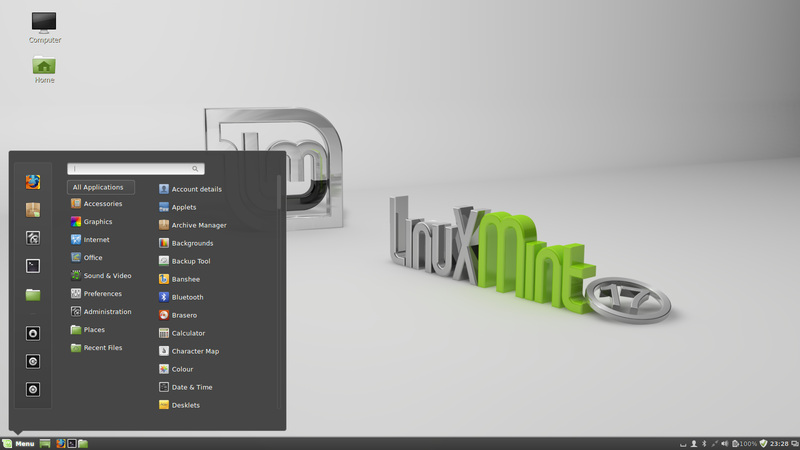 Cinnamon is the flagship desktop environment for the Linux Mint distribution. 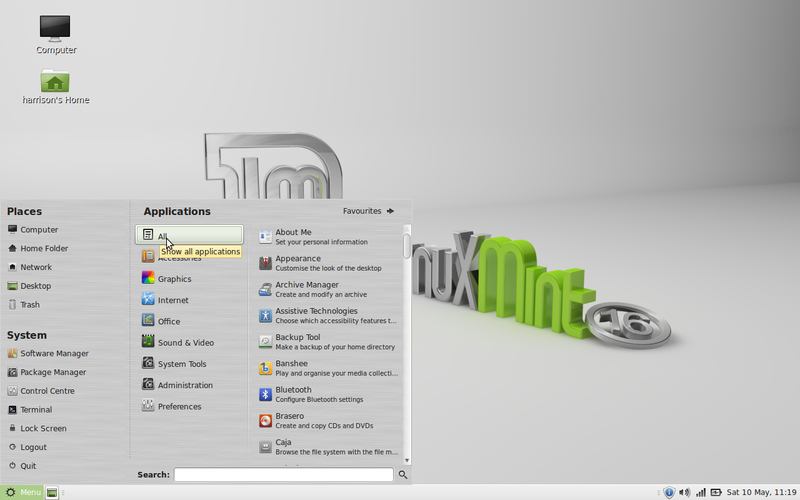 Linux Mint actually works with a number of lighter environments as well so if Cinnamon doesn’t work for you due to hardware restrictions then that doesn’t discount Linux Mint completely as there are alternative desktop choices available. If you like things to evolve naturally then the Cinnamon desktop is definitely worth considering. It includes all the bells and whistles which will make your computer look good but it is also well designed making it easy to navigate and requires the smallest of learning curves. Definitely a traditional desktop as it contains a single panel, a menu and icons on the desktop. 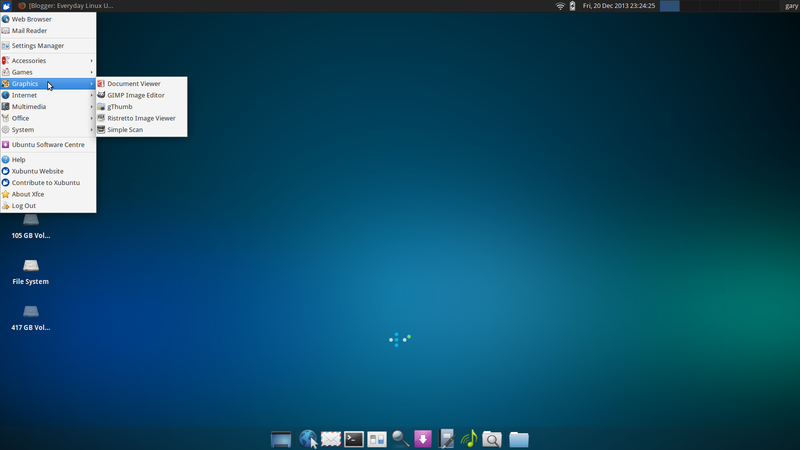 The KDE desktop has been around for quite some time and has had a number of major updates. On the surface it is very much a traditional desktop with a panel, menu and icons but there is much more to the KDE desktop with multiple activity style workspaces. 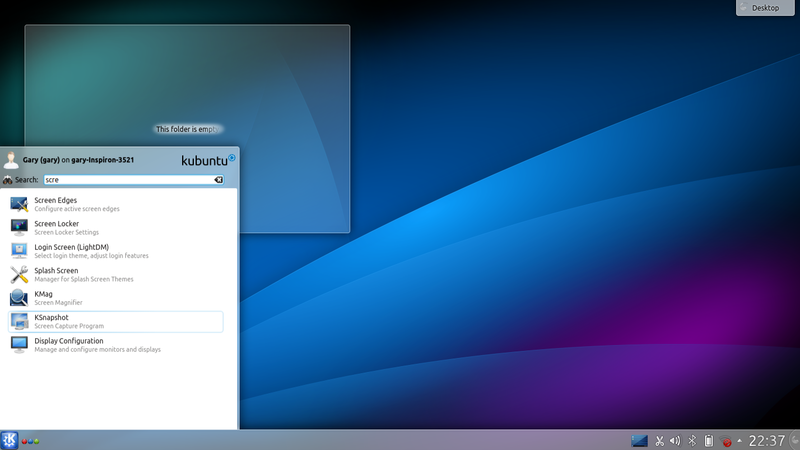 The KDE desktop also comes with more default applications than any of the other environments. The Zorin desktop is a heavily customised Gnome desktop. It is only used by the Zorin OS Linux distribution. The Zorin desktop by default is made to look like Windows 7 but there is a look changer which lets you choose a Windows XP or Gnome 2 desktop. There are huge differences between Gnome 2 and Gnome 3 and this brings us onto the lighter desktop environments. The Zorin desktop is integrated with Compiz to prove whizzy effects. Lightweight desktop environments will require less resources and will therefore work on most hardware. Again traditional is used in terms of panels, menus and icons. When Gnome 2 became Gnome 3 a new desktop environment called MATE was formed which basically forked the Gnome 2 code. The MATE desktop is much slicker than Gnome 3 on older hardware. MATE is extremely customisable and allows for multiple panels with alternative widgets and menus. 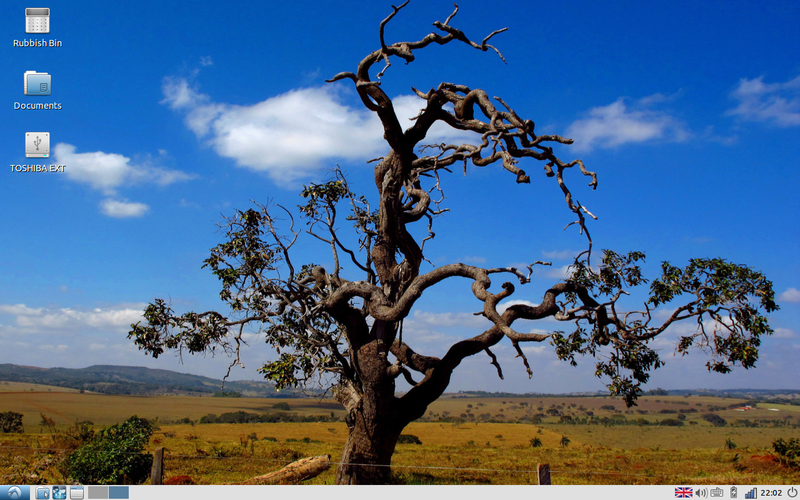 When it comes to customising a desktop you won’t find a desktop environment quite like XFCE. Linux experts and beginners swear by XFCE because you can tweak it and get it to behave how you want it to very quickly and there isn’t a huge learning curve. Multiple panels, applets, menus, docks and special effects make XFCE my own personal favourite desktop environment. The fact that XFCE doesn’t take up a huge amount of resources makes it just perfect. If you are really tight on resources then LXDE is a viable alternative to XFCE. 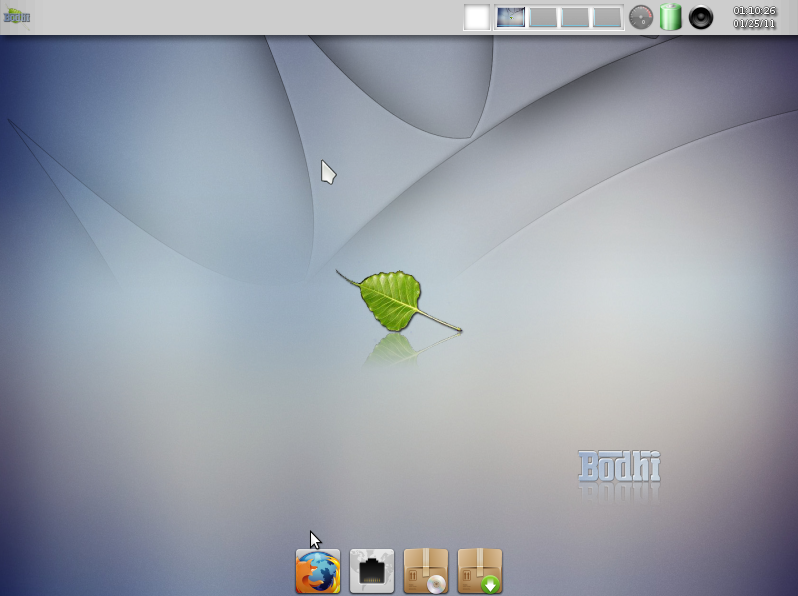 LXDE is highly customisable but with a more basic look. 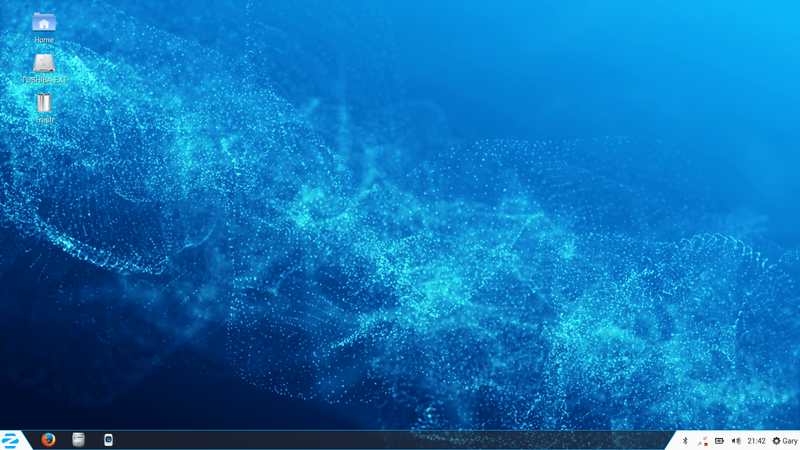 As with XFCE you can use different menus, add multiple panels and use different widgets but it isn’t quite the same and doesn’t quite have the same appeal. LXDE does work on pretty much anything hardware wise. If your computer doesn’t run LXDE then you really will be pushed to find a Linux distribution that works for you (but they do exist). Enlightenment is one of the lesser utilised desktop environments and is probably highlighted best in the Bodhi Linux distribution. The Enlightenment desktop is potentially highly customisable and provides the ability to use a large number of virtual workspaces. For completeness I have added the above desktops and window managers. If you are looking for ultra lightweight then these are the graphical environments to go for. Note though that they are much harder to customise. If you use any of these GUIs on a modern machine then you will soon realise that the speed is insane but realistically you only want to use them to keep older hardware alive. There are other Window Managers out there and you can try 76 of them out by downloading and trying out LinuxBBQ (although it takes patience). If you just use your computer for browsing the web, watching videos and listening to music and you have a modern computer then why not try out Unity or Gnome. If you are keen to stay traditional and have a modern computer try KDE or Cinnamon. If you have a mid range computer then there is MATE and XFCE and these are worth trying out even on modern hardware because they will keep things nice and slick. On older hardware try out LXDE first but if that fails try out one of the ultra light distributions that use ICEWM or Fluxbox. The final option of course is no desktop at all. If you are using your computer as a server then you may not need a desktop environment in which case Ubuntu minimal and Debian minimal are worth looking into. Otherwise a nice overview of Linux desktops. Hi, for some reason I thought it was SolyDK when it is KDE and SolyDX when it is XFCE. Is that not the case? I would say that SolydXK has two versions: SolydX and SolydK… Makes it easier to distinguish, no? And what about Openbox? Very informative article! There's one big problem with XFCE. It uses Xrender instead of OpenGL for its compositing, meaning screen tearing, especially when moving windows or watching video, it unavoidable. It may be customizable and light on resources, but having to watch my windows visibly redraw themselves as I move them and watching lines running down my videos is a deal-breaker for me. I use xfce, native compositing disabled, and compton installed, works wonderfully and no more screen tearing. Yes, I also use Xfce with compton for compositing. It works much better than the native compositor. I used to use GNOME 2, but I noticed it kept dropping useful features. When GNOME 3 ("a Triumph of Fashion over Functionality") was foisted on us, I fled to xfce, then later migrated to Mate. I like my Desktop Environment to help me to work efficiently the way I want to work, not to get in the way and try and force itself on me like Unity & GNOME 3. I have 2 heavily customized panels that auto hide, and 7*5 virtual desktops. Each virtual desktops is fairly bland with no icons on it, apart from removable media. I use multiple tabs on my directory windows and terminals, not just on web browsers. I have a 30" monitor, but still like to be careful in my use of scarce screen real estate. it also depends on the apps you need to use, some apps work with their respective DE's but not others. so it really depends on what you need. they are all great DE. For the most part applications will run under other desktop environments, but will require the libraries associated with the desktop environment they were designed for to be installed as well. They may look out of place, and those library dependencies will add a lot of overhead to the installation, but they will work. I often run K3b in Xfce even though it is designed to work under KDE. Well done. Understanding the difference between OS and Environment (and GUI) is where the common user often gets lost in the miasma that is the Linux world. We will point people to this article when the newly curious immediately become lost.